Don't get me wrong, natural light and golden hour are gorgeous and a huge part of what we do. But, in addition to these types of photographs, we have built our name on imagery that differs from the typical wedding or couples photograph. Our studio (Lin and Jirsa Photography) has become known for unique and epic environmental portraits. While almost every client wants golden hour imagery, these stand-out epics help draw clients to our brand in the first place. It's quite common to shoot photo sessions in unimpressive locations; it goes with the territory when shooting on-the-go and outside of a studio. Fortunately, we have options to help us transform boring locations into beautiful backdrops, and it’s easier than you think. 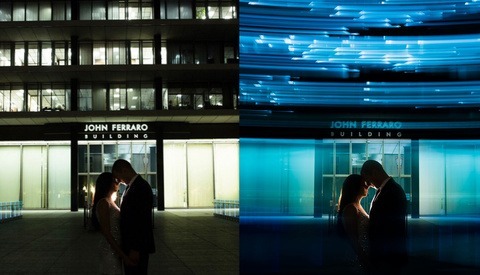 Making simple light modifications and quick edits in post can mean the difference between creating average imagery versus creating imagery that impresses your clients. We often aim to capture great expressions when cueing and posing subjects, but we sometimes overlook basic elements that may distract our viewers. In particular, natural pointers like our arms, hands, fingers, legs, and feet command a strong presence within images, but we don’t always recognize the power of their presence in the moment. While we surrender some control during truly candid moments, we should make every part of an image purposeful and keep natural pointers in check when posing. It's important to remember that we are here to analyze and understand, but not be overly critical. While these tips/techniques are great in understanding the visual weight and posing elements within an image, they are not reasons to throw out what would otherwise be a great photograph. 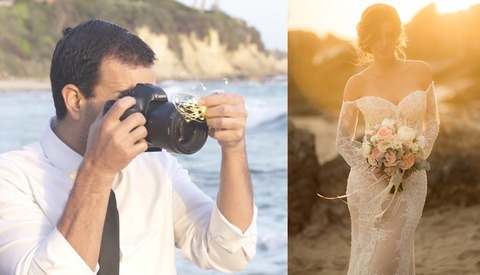 As all wedding and portrait photographers have experienced, things often don't go as planned. Two common scenarios are, 1) timeline delays that cut into your ideal outdoor shooting times and 2) rainy or cloudy weather that covers the sun, making the popular backlit look impossible to achieve with natural light. When either of these two things happens, we at Lin and Jirsa Photography use the following five ways to recreate or fake the sun. We hope these tips will come in handy and allow you to wow your clients despite less than ideal circumstances. What's up everyone! My name is Pye and I am one of the educators for FStoppers Bahamas! This is my first article here on FStoppers, and I am really proud to be a part of such a great community of photographers. 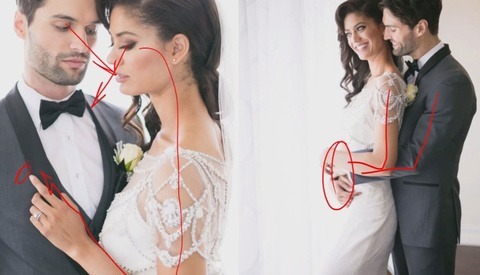 We all know dodging/burning is a fantastic tool when it comes to retouching. But maybe a less common usage, it is also a fantastic tool to enhance muscle definition. Since most of the time we think of Photoshop when we think of dodging/burning and retouch, we are going to stick within Lightroom just to illustrate how powerful and efficient the Adjustment Brush tool can really be.